Few companies are fortunate enough to create an entirely new high-tech market, and even less so dominate that market. Many join at the right time once costs have dropped and the market is sufficiently inflated. So why do so many companies lose their way to becoming a market leader? The potential answers to this are almost endless, wrong skill sets in the business, shortfall in capital, fallouts between founders, etc – These all play their part but I want to assume that everything internally is sound, good staff and resources. Why then do companies not hit the heights they once thought attainable? The transition period from early adopters of the technology to the early majority can really test a companies dynamism. Their are so many pitfalls to contend with but the most prevalent is the change in customer type that too few fail to master. Early adopters are expecting to get a jump on their competitors and expect a discontinuity between their old processes and the new. Early majority however, expect evolution, not revolution. They expect the tech to enhance, not disrupt their current processes. Are you sending the right message to prospects? Have you looked at what technology they are using and segmented them appropriately? New markets, whether vertical or horizontal can have totally different outlooks. If you are looking to diversify into an unknown market and are trying the same approach as you would with your established market, then failure will undoubtedly become your unfortunate ally. Dislodging market leaders is an amiable goal and that of many five year marketing plans, but they have a much larger budget, more established product and more importantly a brand. Customers will forgive a brand for minor and sometimes major mistakes – for us mere mortals, this is a luxury we can’t afford. Depending on the lifecycle stage of the market, this might not even be a possibility. What makes you stand out? A great product, great salespeople, and/or great support? You might have features that save the customer time, it might have a better user interface or it might be more cost effective and if you’re lucky it will have all of these. The differentiator though is how you market yourself. Pick any industry and go to the websites of the top five companies. Some will portray themselves as ‘trusted’, ‘hip’, ‘technological’, ‘customer oriented’, etc. You need to find what works for you and then own it. Do it better than anyone else, be inventive, be unusual and get noticed. You don’t have to spend like a market leader, but you do have to be as creative as one. You’ll get noticed by your customers and prospect base, and it will make all the difference. Technology has come a long way in the last few years to help make digital marketing in particular much easier and more affordable, so use tools like Visitor Tracking to capture your website visitors and then Marketing Automation to nurture leads into customers. These used to be tools that only market leaders could afford, but now the playing field has levelled out and small to mid-sized companies can match the digital marketing efforts of companies with budgets they can only dream of. We welcome the opportunity to show you how you can be a marketing genius and own the marketing lifecycle – without perforating your bank account. Click here to request a demonstration of our visitor tracking or marketing automation solutions. 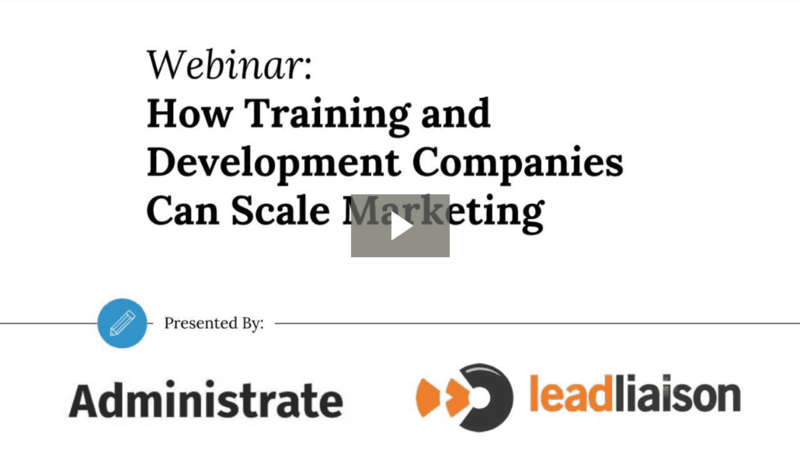 To watch “How Training Companies Can Scale Marketing” in its entirety, click here. We’re talking about how to scale marketing, pass qualified leads to sales, and how to progress those leads through the sales funnel to revenue. Lead Liaison and Administrate have partnered to bring you this exclusive webinar. Administrate is a Lead Liaison customer in addition to being partner. So the topics that we are presenting are the actual solution that each company uses to drive our own business and revenues to use in real life and it works. So there are a lot of steps to manage when coordinating a webinar. Once the webinar was scheduled, the entire process was managed in Lead Liaison so that we could fully automate and even repurpose the event if we wanted to. Registration information was captured from the Lead Liaison landing page, hosting in Lead Liaison form. As event members status have changed from registered, attended, didn’t show, et cetera, their statuses are and will continue to be updated in Lead Liaison. We created the invitation, the registration confirmation, the reminder emails, all in our email builder. And additionally, instead of incorporating the email only invitations and follow up, we were able to use multi-channel communication what we like to call omni-channel communication. Which is the text message that you received. Good news is, we are recording this and we’ll send it to you guys after the presentation. So when you [Unclear 00:10:42:07] might have missed it, you’ll still have a chance to view. So after our presentation, we’ll be able to use Lead Liaison. We’ll be able to use the member statuses – the registered, attended, et cetera. We’ll be able to use that member status information to pull report or segment our database. A way that you guys could use Lead Liaison in the future. Lead Liaison side will be presenting how to scale marketing and how to pass qualified leads to your sales people. Administrate will then present how to progress qualified leads through the sales funnel to revenue. How does marketing automation system fit into the overall ecosystem? 83% of people don’t have an experience with marketing automation. These three circles could actually describe where it fits in. So on the far right hand side, you got your database which in this case we’ll call your audience. This could be prospect or leads, this could be customers, it could be partners. They’re over here on the right. On the far left, you’ve got your CRM. It could be Administrate, it could be Salesforce.com, could be Microsoft dynamics. Whatever it might be. That’s over here on the left. That is sort of your system of record. Right in the middle, you’ve got marketing automation. Now, one important point is kind of a philosophy here at Lead Liaison is, we really don’t see marketing automation as a software or a feature. It’s really more of a strategy. So again, it fits right in between your customers, your database and your CRM. So marketing automation is used to reach out to your database and your audience. When your audience interact and engages with your company, the marketing automation system itself needs to track all of that activity and be aware of it. And then in the meantime, all of that information should be syncing back and forth and communicating with your CRM. Again, all your system of record. So really, that marketing automation platform should be the engine for all of that communication between your audience. We actually have three-day training courses on marketing automation and software platforms like this. It can help your company strengthen relationships through better communication. And number two, deliver sales insight. And number three, scale your operations. So obviously, number three is the subject of today’s webinar but I’m going to dig into three of these areas here. Let’s talk about strengthening relationships. I’m sure everybody has heard about inbound marketing. It’s kind of a buzz [Unclear 00:14:36:29] that’s being created. So really inbound marketing is really about being in the right place at the right time. Outbound marketing, that’s really the opposite of inbound marketing. So that means reaching out to your audience. If we were to breakdown outbound marketing into two categories, we’ll break it down into online and offline. So let me step through these components real quick. Online outbound marketing that would be email. So if you look at marketing automation platform, the key to very basic is the evolution of email marketing. Sure you probably use systems like Mailchimp or Constant Contact. But this is really version 2.0 of email communication. Outbound marketing is also sending text messages. So very similar to what we sent out for this particular webinar as a reminder. The third piece of online marketing in reaching out is dynamic content. That mean taking content on your website and making that dynamic whether it’s a block of text, whether it’s an image. Changing that content based on who is visiting your site and what you know about them. The fourth thing is popups. So based on visitor, maybe you have a visitor in London or at certain area, maybe Texas. Maybe you want to show them a certain popup or content based on their interest and where they’re coming from. The last piece of reaching out and doing that digitally is sending surveys. So your system should be able to reach out and send polls and surveys to people. And then the last point here which is offline marketing. So it’s very important to focus on that omni channel marketing. This is not about email only. You know when we say omni channel, its multi-channel. Sending the communication through digital means and through offline means. So postcards, handwritten letters. The power really comes from mixing up these two channels. The online and offline channel. So the key is to strengthen those relationships, use a platform that can help you do the online and offline and automate that and trigger this communication at the right time. That’s the key. And again, that’s going to help you strengthen those relationships. Sales insight. So I’ll step through these real quick. Engagement history is super powerful to be able to deliver information like what you’re seeing on the left hand side of my screen to a sales rep. When they go to do their follow up and they know who they’re speaking to and what that person’s interests are about. So in this case, here’s a little preview of a profile and the timeline. You can see a website visit, some popups that were shown, and subsequently closed. You can see email. So if somebody is opening your email, they clicked the link in that email. When you’re a rep and you go to place that phone call, there’s nothing more important than knowing the interest of the person you’re connecting with. The second thing here that can help your sales team and give them insight is who’s on your website? And quite simply, you want to know businesses and people that come to your website. So Lead Liaison for example, we’ll send out daily notifications to let the reps know who’s on their site. So it’s a great tool to help find them new leads and new opportunities. The third piece of sales insight is buying signals. And it’s super powerful to– Again, you’re doing your outreach, you’re making phone calls, you’re prospecting. You won’t really know when somebody engages and maybe comes back to your website. So a lot of these of platforms will trigger what we call buying signals. And this is really a text message or an email to be both. But it will help the sales person understand the intent and when somebody is actually checking out the website and ready to engage. And those notifications will go to the owner. To the sales rep. The fourth sales insight piece is lead priority. Most sales reps when they come in to the office, they’ve got a ton of things they’ve got to do that day. So you really need to establish priority and that priority can be done by the system itself by kind of separating hot prospects and showing that in a report or a dashboard. But also other mechanisms that this system use such as lead scoring and lead grading to help a sales rep understand what’s important and what’s not. And then the last piece is social insight. So in Lead Liaison for example, whenever an email comes in to the system, we’ll go out to social media and we’ll pull in thousands of different data points from social media. So things like their gender. Male or female. Their age, twitter followers. Things like that. You can use that information obviously for marketing but as a sales rep, now you know more about who you’re communicating with. So it’s about getting to know your audience better. The final piece here, in terms of kind of the essentials of marketing automation is about scaling your operations. A key thing is introduce automation. So if you look on the left hand side, you’ve got your basic funnel. It can be more advanced than this. Most customers here, most companies will have their own version of a funnel. But really you can break it down into these three different stages. You’ve a got a lead at the top of the funnel, you turn that lead into an opportunity, and then you have a customer. Now on the right hand side, you see a color-coded version. So these are all the different ways an automation can help your business. Now, they’re color-coded for a reason. So the three top items here in red, these are primarily used in that lead phase of the funnel. So rapid inquiry follow up. This is a fact. 48% of reps don’t follow up with their leads. So being able to help automate and assign these leads to your reps and respond immediately, that’s very important. Early bird catches the worm. And then lead generation. So as mentioned earlier, identifying businesses and people that come to your website, automate that. It’s really like putting a digital sales rep or an inside sales rep on your website. Obviously getting capital is very expensive but adding automation can help expose these opportunities for your sales team. Distributing leads. Pretty round robin, could be giving it to a rep who doesn’t have much if they’re working on at that moment or geographical distribution. But these three things again can be automated as part of that lead stage of the funnel. And then the middle of the funnel, lead qualification. Using concepts like scoring and grading to help prioritize these leads. And then at the very bottom in green, when you’ve got a customer, you can use automation to help onboard your client. So right when they become a client, send them communications, give them tips and tricks, 30 days before their renewal whenever that might be, send them some notification. However you want to manage that is really up to you but automation can help with that onboarding. And then the final and I’d say really important piece here, is nurturing. Now you see these, these green– You see these three color codes right here. The red, orange, and the green. Nurturing is the general concept. It’s not really a feature but it’s a general concept where you can use that multi-channel communication that I mentioned earlier. Whether online or offline communication to further strengthen and build that relationship. So whether it’s a new lead, whether it’s an opportunity or a client, nurture them. The best sorts of revenue for your business is going to come from your existing clients. It’s a lot easier to sell to them than to go generate new levels for your business. So use nurturing to help. Look at this stat. So on the top left here, you see companies that excel at lead nurturing. According to Forrester Research, they generate 50% more sales ready lead at a lower cost. Because of automation and the fact that they can be more scalable, they’re not spending as much money. There is a lot of words in this stat here on the top right in blue. I really want you to look at the top one. I’ve mentioned this. 48% of reps never follow up. That’s horrible. So obviously, you want to follow up. Again, early bird catches the worm. At the bottom here, you see 80% of sales are made on the fifth to twelfth contact. Let me say it again. 80% of sales are made on the fifth to the twelfth contact. You’re take away from that should be that one touch is really not enough. Again, you’ve got to be nurturing, you’ve got to use different channels ’cause I know personally, if I got five to twelve emails in a row, I’m going to think it’s totally automated. Right? So it has to be personal which you got to mix it up. You’ve got to use your multiple channel to communicate. But it can’t just be one touch. It’s got to be more than one. And then at the bottom here, this is really my call to action. You’re on this conference which will look like we got a lot of attendee from around the world. So if you’re a marketing leader and you’re not using marketing automation, you should be. Salesforce reports in their state of marketing, report that 67% of leaders currently use marketing automation. So don’t be the 33% of companies that are not using it because you’re not using it, you’re competition is. How do you scale your marketing? What can you do? Well first thing is take action. On the left, these are the things that you can do. You can create a bunch of different content right? And get yourself out there. Promote your business. These are things like white papers, blog posts, videos, everything that I’m talking about there. Syndicate a content. Let me give you an example. We wrote a five series blog post about integrating marketing automation with a specific CRM. 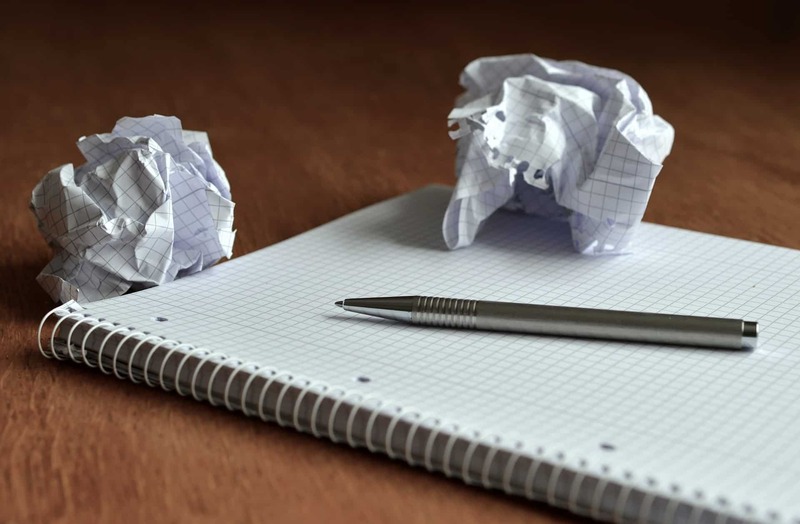 So we took those five different blog posts and then we said, “Okay let’s turn that into a white paper so we can then put as a resource on our website. And then we’re going to make a video out of that. We might make five different videos.” So that’s what we mean by syndicating your content. Do it once but then chop it up and use it in different areas of your business. And the third point about what you can do is have calls to action. It’s pretty self-explanatory but you have a landing page, you now have a call to action, have an offer, have a piece of content to download. What can software do? So go out, get yourself a system like this, a marketing automation platform. Begin to track all your inbound activity. You could be doing anything on the left but if you’re not tracking it, it doesn’t do you any good. Begin to score your leads, nurture your leads, and then have that sort of a demarcation point where through your nurturing, you’re able to then– You’re marketing is able to hand off these warm leads over to their sales team. You can obviously do that hand off when there’s a bottom of the funnel action. So what I mean by that is maybe somebody downloading a very key document like a brochure or a case study. Or somebody submitting a form like a general form or a Contact Us form. So those are bottom of the funnel actions. And when your marketing automation platform recognizes those, you want to quickly get that over to sales for their follow up. For their qualifying. Second thing you could do when you hand off is set up score threshold. And I’ll actually show everybody what I mean by that but establishing value and when somebody goes past that value, then you hand it off to sales. And then the last thing to be what we call a life cycle stage. And a life cycle is really identifying where a potential buyer is or even a client in terms of their overall communication with you through their life cycle. This is what Lead Liaison call the life cycle funnel. We actually have these seven stages in the platform. So anonymous is anybody that comes in to the system. So visitor-tracking wise, you go to a track website. We can identify that business. We might not know the person but we’ve identified the business so we created an anonymous profile. If you have an email in the system but there’s been no inbound activity, there what we call a suspect. Once we track and identify inbound activity, this could be an email click, a form submission, we say they’re engaged. And then there is this stage here. Marketing qualified. And that’s an orange for a reason. At that point you might say, “Hey, they’re qualified. Let me send it over to my CRM, in this case Administrate. You could make that hand off at that point. This is Lead Liaison right here where we just got a sandbox account. Now, I’m in the scoring area. So one thing to highlight, you can set these generics scores for all these activities. You can get very granular if you– For example web form submission. Every form submission will be 50 points. Now, you could say a specific form has a 100 points so on so forth. You can see per event because again, Lead Liaison was used to help to manage this webinar. Somebody signs up, they’d get a 100 points. So you set scoring there. Choose a threshold. So again we set it at 300. Now if I click edit here, basically you can see if the prospect goes above 300, we want to do this thing. So it’s very modular. In this case, we’re going to sync to Administrate. And then we configure different parameters in terms of the values that we want to see and Administrate when we push it over. But you could do other things. It’s kind of like an action template. So if I want to set a life cycle stage as I’ve mentioned, and I want to maybe make it marketing qualified inside Lead Liaison, I could do that. So basically, you run all these different actions when the prospect goes above 300. So over here we’ve got Administrate. I’ve got a tab open. We’ll kind of see the new opportunity created in Administrate. In Lead Liaison, what we’re going to do is create a new prospect. We’ll just do this from scratch. Tommy Walker. Making stuff up here. Okay. So now we’ll go their profile after we create the prospect. This is a prospect profile here again skipping details in the essence of time but what I’m going to do is go ahead and change their score. And remember that scoring threshold was 300. Notice over in Administrate. I’ll refresh here, there’s no Tommy Walker in terms of an opportunity. So we don’t see anything there. We see Jane, Thomas, Cammie. So over here, we’ll change that again to say 350. Actually we’ll make it 400 and we’ll hit enter. So now we’ve changed that score to 400 again the score would typically be driven up by engagement and website visit and things like that okay. But we’re just manually doing that again in the essence of time. So if we come over here, we had refreshed inside of Administrate. We’re going to see Tommy Walker. So the way that we’re recording the opportunity here is we’re putting the score, reporting purposes. And then there’s the individual over there and then again, all the parameters that you’ve configured will go along with that record down here. So for those of you who don’t know, we just walked through Lead Liaison, a sales and marketing automation solution. None of you have really notice what training management system is. And so I wanted to make sure that people understood what that term meant. Training management system is supposed to run really the core operations of your training company. So that means anything from the sales and marketing process to the delivery of the training, with the reporting, it’s really sort of the backbone that manages the data of your students or instructors, your locations and venues. All the things that go into running the training. A TMS is really designed to help you grow your business. There’s lots of great tools out there that help with training itself. With delivery of training, with the technology around it. But oftentime it’s very disjointed and not connected back to a central hub. And a training management system acts that central hub. For our purposes today, we’ll going to be focused on the CRM component of Administrate and so if you’re on this webinar, you’re not a training company at all or you’re not into that space, these concepts are still applicable to any CRM really. We integrate with Salesforce, we’re on their app exchange, we have customers that use that as their primary CRM, and then get it into our workflows from there. But what we’re going to be talking about today is that CRM functionality that allows you to customize a sales pipe flow. What we’ll be doing is talking about creating a streamlined process. We don’t want to have sort of a big wall between your marketing side, your sales side, and then the delivery side. If there’s anything that gets lost in between, it can create really terrible customer experience. You want them to have one interaction with your company regardless of where they are on this journey. So using Administrate and connecting tools that are purpose-built that can– Like Lead Liaison that can create a single experience for the customer is very very important. Why would you want to manage your training sales funnel within a training management system? The goal over here really is to take your sales out of the land of just sort of guessing and gut feel and here’s what I think based on the relationships that I have. All that’s valuable inside that your sales people can have but you can’t rely on that in order to really scale an organization. In order to scale sales, you’re going to need to run sales like an operation like you would any other part of your business. So to be able to set up a pipe that allows you to work through these stages of your sales process in a consistent manner, allows you the ability to start breaking it down and treating it more methodically so that you can see where your leads are, where they’re being nurtured, where they’re not, and how that is progressing. What this does is it provides transparency. You can start to see where your leads maybe falling off. If you analyze this information and start acting on it, you’ll be able to resolve any problems that you have during your workflow. Any areas where you’ve got a nice lead flow coming in and then it just gets stuck or drops off at one point. You can focus your efforts on that area and then resolve that and turn it into a nice predictable flow. At the end of this, you should have what we call predictable revenue and again, that’s a model kind of like the marketing automation is a model. You can create predictable revenue in a business like this using these types of methods. I will use the same funnel graphic because what we’re saying is that this creates one continuous funnel from your marketing side to the sales side. And effectively, when you’re using Lead Liaison with Administrate, you are nurturing those leads in the demonstration. You are going all the way to marketing qualified. Sales vetting, you can have the sales team do some initial calls to make sure that they are– Understand the business that they– Understand the needs and they get a proper follow up to them. So at that point you can go down to sales qualified. There’s nurturing that happens at this stage too. Oftentimes we think of this as perhaps being the longest stage of the nurturing. If you feel like you should be able to turn that– Okay we’ve got a qualified lead which you should be able to turn that into revenue right away. Depending on what you’re trying to sell, that could become a much longer process. And then ultimately, you get down to proposals and winning. So what you want this to look like is a continuous even smooth funnel all the way from the first contact with your organization and constant contact until they have either won or decided that this is just isn’t for them. If we go to the next slide you’ll see a screenshot of Administrate. The upper left hand corner there. This part of the screen demonstrates what it looks like when you’re working with the system like Administrate to actually push these leads through. It gives us a nice visual workflow of where these leads are coming in. For us, we actually as mentioned at the top of the webinar, we do use lead Liaison as a company and this is actually a picture of our pipe. So we use our own tools and Lead Liaison for our sales processes so we know how this works very first hand. So they come in from Lead Liaison as marketing qualified and they go through these stages. You’ll see the numbers generally go down until they become propose then onto won or lost. So that’s how this works for us and that’s a very common workflow and you should be able to see very visually where you’re leads are in these stages. So let me go through a few examples. This one is a slide that says,“Where are my leads stuck?” So when you first look at these numbers, these areas may not jump out to you. But what you’re looking for based on just ratios and based on changes over time are areas in your pipe where leads are not smoothly going from one stage to the next. Now of course you’re not going to have all 250 leads generated become one but you should have a consistent narrowing because what you’re doing is you’re qualifying them, making sure that you are a good fit for their business and vice versa. And making sure you can engage them into the point where they want your services. So in the first column in column A, you would see that we have a 100 marketing qualified leads and then if they pass them off to the sales team and they actually only considered 10 of them qualified for what they’re going to pursue. That’s probably a red flag. That probably means that there’s some gap between what your marketing department and what your sales department are viewing as qualified and that maybe something that you can work together on to narrow that gap. Maybe sales is overqualified, they’re being too stringent, maybe you’ve got some kind of looseness going on on the marketing side and just sending too many over but you want to be able to close that gap. Each of these examples has a place where you have something that you can identify and work on. And I will go through each and every one of them but the idea is you want to be able to find these areas, improve them, and this will get you to the point where you can predict your revenue. So moving to the results slide, this whole process will remove the divide between your marketing and sales teams. One big continuous funnel. Sales and resources should be appropriately used. If you think about it, if you have a gap between these teams or the processes involved, what will happen is you’ll start misusing your resources in creating ways in your business. If your sales people are trying to nurture leads that really don’t have much interest or don’t know who you are yet and then you passed that lead over too quickly and you’re wasting that resources time. And the same could happen in the other direction. If you’re over qualifying, you could be wasting the effort you got to acquire the lead and this could be letting it fall out of your funnel when you could have revenue. So think of creating this into a very structured process is going to allow you to be highly efficient with your business. So just the key is to analyze those metrics. They will tell you where you can improve, where you can grow, and if you keep your eye on the ball there you will get to that predictable revenue. And for the 83% of people that don’t have experience with marketing automation and 46% of people that really don’t nurture leads, here’s a great opportunity. So we’re offering two free months on an annual subscription here. So added to your subscription, for any new clients of Administrate. So if you are interested in Administrate, I encourage you to take action and start to use their awesome system. So if you’re a new client or even an existing customer of Administrate, again we’ll give you two free months of $1,300 value. In my demo, I did not show the connector but it’s a very straightforward connector and we’ll provide you some complimentary assistance in setting that up as well. So all of that is good through the end of the year. That’s our holiday gift to everybody attending. Q: The first question I have is, if I [Unclear 00:46:50:25] in Lead Liaison conversion form in our website, will it automatically pull through to Administrate? And can that be customized to match specific Administrate field? A: So you certainly can. Those are formed inside Lead Liaison. All marketing automation platforms should have that capability but to visually drag and drop and build a form or you have an existing form, you know map the form. But once the form is submitted, you can use the techniques that I’ve showed you here. In my demo I used scoring threshold. But you could basically say it’s a form that’s submitted then you could invoke that send to Administrate connector or action I should say which again would push the record into Administrate. Now this is the first iteration of the integration with Administrate. We do have plans to evolve that based on demand of course but we’re pushing it into Administrate as an opportunity as shown in my demo. So you do have some level of configurability on different parameters in the opportunity. So there is some customization but some of the other field that you might have, maybe like a custom build or something wouldn’t go in to the record inside Administrate. Q: As a person unsubscribes to communication via Administrate, will the person be auto unsubscribed from Lead Liaison? A: So I think there’s a little bit of a difference but in terms of the email capability between the two platforms, it wouldn’t really be connected. If your reps saw an opportunity and then they wanted to maybe take action on that, update the record, they could do that. But in terms of unsubscribes, if you are using Lead Liaison for nurturing newsletter communication things like that, we do have our own unsubscribe mechanisms on our platform but that would not update today in Administrate and vice versa. If they’d unsubscribed during the marketing process, you can make sure that it basically never flows down. In Administrate we have an unsubscribe option too but if you want to make sure that you don’t then hit them back with remarketing, you need to make sure that that gets passed back. That’s not part of the automation that we have today. Q: You mentioned marketing automation is like email 2.0. Why is that? A: Well let’s talk about email 1.0 right? I’ve mentioned Mailchimp, Constant Contact, lot of email systems like that. You could send out an email and then maybe you cross your fingers. I mean back in the day people would say, “Oh. 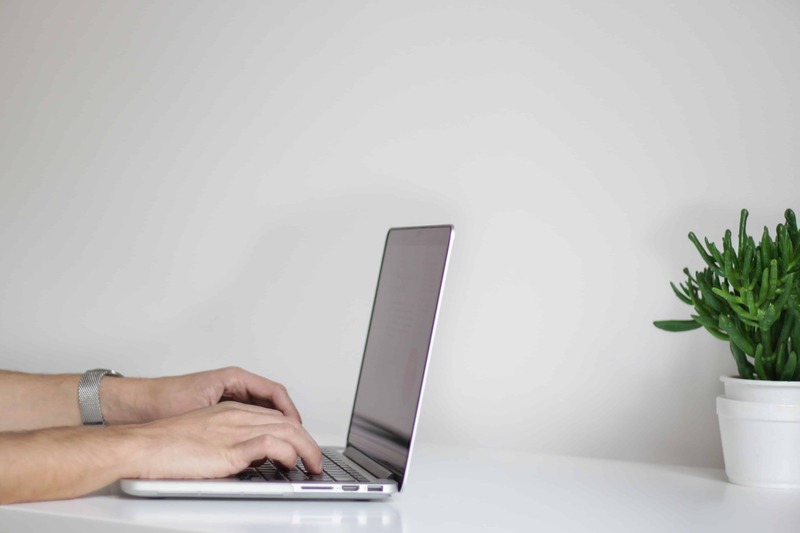 How many opens did I have?” or “How many clicks did I have?” But you really have to connect your email activity to your website activity and overall engagement. So email 1.0, you send an email, you see some email stats and that’s about it. And then also email 1.0, you create an email, you send it to your database, you quote unquote blast an email out to your database and I don’t know about everybody on the call but I never want to be blasted. So marketing automation systems again with the 2.0 version of email, you can really deeply segment who you communicate with. So you’re sending the right message at the right time. And when people are engaging with your email, they open or click and come to your website and download content or submit a form, all that activity is added into their profile. So you really have a holistic view of what that prospect is doing. Way above and beyond just email activity. To learn more about the solutions that the presenters mentioned in the webinar, request a personalized demonstration now! I was thinking today about how amazing Tesla’s marketing team is. Their budget is dwarfed compared to their competition. In fact, I have read reports that Tesla spends just $6 per car sold! Toyota, their next most efficient competitor spends 40 times more for a car that costs 1/5 the price! A very small percentage of the population has owned (or even sat in) their car, yet a very high percentage would say that they would like to own one. Tesla launched in 2003, and has slowly built up a fan base of customers… who don’t drive Tesla’s (yet). They had a vision before others. The oldest millennials were only 12 years old, and had not developed a consumer personality, when Tesla was founded in 2003. They realized that their immediate buyers would pay a premium to work out the technical kinks of developing an electric vehicle; while also buying time to build a long term brand focused on a new generation. They told a story. Elon Musk, cofounder, CEO and Chairman of Tesla Motors, has promoted his vision, much like Bill Gates (a computer in every home) or Henry Ford (a car for every family) did before him. This story was told over and over to people whom Tesla would not even target as potential buyers… for DECADES! Low cost communications. The days of large media spends are dwindling in a new, hyper targeted communication’s economy. No longer do effective marketers dominate market share through spray and pray communications such as TV and radio. Instead, innovative companies are looking for ways to win the hearts of customers through personalized messaging. They have harnessed the halo effect and emotion. 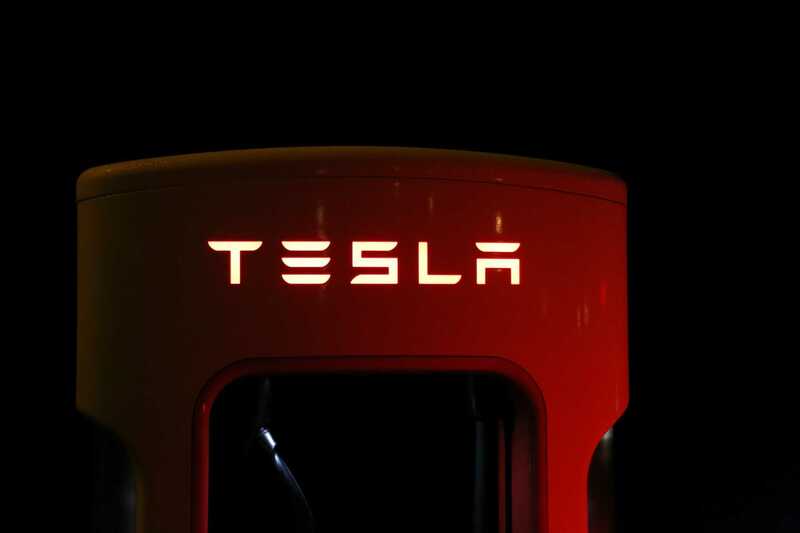 Buyers of a Tesla see something sleek, innovative, and different. As Americans, we are drawn to elegant design and prestige. Tesla has tapped into those emotions. By playing to the heart of your consumer, they do not need to “sit” in a product to know that they will like it when they do. Often times, in the world of marketing, we forget about relationships and emotions. We can focus too heavily on strict budget and ROI analysis. Our communications tend to be centered around “Fact Sheets”, price, and comparative analysis… and we ignore the negative consequences that such approaches have on building the brand. Likewise, most marketers tend to focus heavily on top and middle of the funnel prospect acquisition; instead of leveraging their core competency as chief communicator to touch on the hearts of the people that are going to buy from you. Would your owners/investors/executive suite support you in taking a long term branding approach to achieve exponential success? What creative means might you employ in your organization to build loyalty and a “cool” factor for your offering? How would you change your core messaging and approach if your goal was to be the most successful company in your industry over the next 14 years; instead of being focused on next quarter? Lead Liaison’s marketing automation encourages marketers to focus on long-term results and long-term relationships. Let one of Lead Liaison’s experts show you around our software. You’ll be surprised what all we support, and how easy it can be to shift gears. It sounds simple, sure, but when you’re dealing with a database of thousands of prospects and hundreds of pieces of content, it gets a bit more intimidating. Sure, you could send generic emails and event invites to your whole database, but are you going to get great engagement? Probably not. Unless you’ve got a way to personalize content and track ROI, you’re just throwing stuff at the wall to see what sticks. Luckily with Lead Liaison you don’t have to do it on your own. 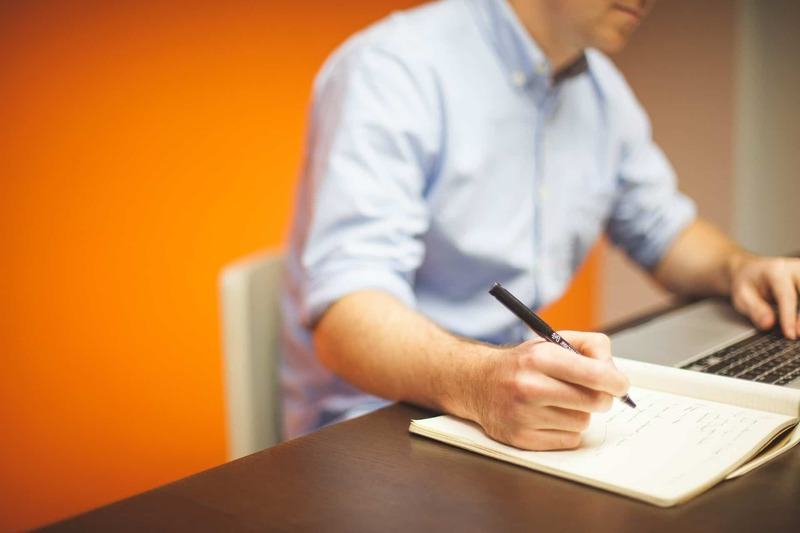 Let’s look at five awesome ways you can keep your marketing team on top of everything. Segmentations – The way you segment your database is key to how successful any campaign will be. We can automatically build segmentations based on your prospects’ individual profiles. All you do is tell our system what to look for. Do you want to market to all CMOs in the state of Georgia in the entertainment industry? Great, we’ll search your database, find all of them, and make a custom marketing list. Best of all, we’ll add new prospects as they come in and remove them if they no longer fit your criteria. Learn more about segmentations here. Tagging – Tags are one of the best ways to keep track of who is interested in what. When a prospect engages with your content, attends a show, views a webinar, or any other engagement you can think of, we can automatically tag them. Say they attended your 2017 We’re Awesome Webinar. We can tag them with the event name automatically when they attend. Later, if you want to build a nurture drip campaign around attendees, just search for prospects with that tag. Easy! Oh, and it’ll be even easier at live events with some cool things coming down the line. Campaigns – When we say campaign, we’re talking about your marketing efforts around a specific topic or event. Say you have a new product coming out. Your marketing for that product would go into a Lead Liaison campaign. And, because we’re not just an email marketing platform, we would also track your multi-channel marketing pieces. Since you can add a cost to the campaign, you’d have a super easy time finding your ROI. And because you’ve segmented and tagged your prospects for targeted content, that ROI will look pretty nice. Programs – Think of a program as a campaign of campaigns. While you would have a campaign for a specific trade show, you would have a program for all trade shows that year. And yes, this includes the costs of the individual campaigns. This could help you answer that age-old question, did you actually make money from the trade shows you attended this year? In my book, that’s a must-know for any B2B organization. Folders – Folders are great. You can put any list, segmentation, automation, campaign, or program into a folder. Want to see all of your marketing content that’s geared toward CMOs? Look in your CMO folder. Want to see all of your drip campaigns? Look in the drip campaign folder. Forget searching through pages of content if you want to make a tweak. Yes, it will take some initial setup, but you’ll be paid back the time spent tenfold. The big takeaway is that organization will streamline your marketing pushes. Imagine being able to send truly relevant content to the right people, and then having the time to figure out who really is a qualified lead. I can tell you this, the sales team will love you for it, and the execs will love the detailed ROI. Want to learn more about who Lead Liaison can help you organize? Give us a shout! Did you know that 70 percent of the links that people click on online are organic? In other words, 7 out of 10 internet users ignore paid ads and click on natural links, like blog posts and articles, instead. While there are many ways to attract organic traffic, blogging is the best option. Companies that run blogs have 434 percent more indexed pages than companies that don’t blog. That means they have 434 percent more chances to get those organic clicks. With amazing stats like that, you probably think that blogging is hard to do. In reality, it isn’t just effective. It’s also incredibly easy. Blogging has never been easier than it is right now. Software like WordPress allows companies to create and manage their blogs for free. The simple interface is easy to use, and you can even customize the design without any technical knowledge. These simple tools have leveled the playing field and made it easy for everyone to blog. Creating your blog is one thing, though. Running it effectively is another. Follow some tips so you can get the most out of blogging. First and foremost, you need to write blogs that people want to read. Use your social media channels to pick your followers’ brains. Find out what they want to read about and then write about those topics. You can also repurpose some content for your blog. Take an e-book that you’ve written and break it up into blog posts, or turn an interesting press release into a blog. This will make it easier for you to keep coming up with new content. Next, you need to remain consistent with your blogging. If you post once a week, post on the same day. Don’t miss a week or people will think your blog is dead. You also need to use keywords in your blog posts. That way, people will find you. Use the AdWords Keyword Planner or another tool to find your keywords. Also, don’t go with simple keywords. Use long-tail keywords so you reach your target market. Finally, use social media to promote your blog posts. Share your posts across all of your social media channels and write a short snippet of what each post is about. This is a great way to get more traffic. Now, you finally are ready to start blogging. Download the software and fine-tune the design. Then, write your first post and introduce your new blog to the world. It won’t be long before you reap the benefits of blogging. Interested in tracking the activity that your blog receives, and having the ability to continue to nurture those potential clients in new and inventive ways? Request a demonstration of our marketing automation software from one of our experts! We won’t beat around the bush. The number one mistake that prospective marketing automation buyers make is delaying a decision. 1. You don’t want to be “tied down” to a technology until you are sure that you have found the right one. The reality: Most commitments are only one year in length. If you look at three marketing automation providers and choose one within a month, you might be questioning your abilities as a marketer. 2. You want to make sure you have all of the features that you need. The reality: While this is a very justifiable goal, the reality is that this is a moving target. It’s far more important to do something today, than to worry about not being able to execute an advanced functionality 8 months from now. Why? Well, first of all, 8 months from now you won’t be in a position to use that functionality because you are so far behind already. Secondly, if you lack that functionality at that time, you can make plans to upgrade vendors as you learn from doing. You will still be 8 months ahead of schedule! The reality: If you are telling your management team that you are too busy to maximize the success of your sales and marketing team because you can’t automate, you clearly are not looking to end your struggles anytime soon. There is a HUGE cost in going through too many rounds of reviews (or looking at too many vendors). Consider one company who went through at least 5 rounds of reviews as they whittled their list from 20 to 3 vendors! Each review had 3-6 employees involved. A conservative estimate is that they spent 450 person hours thinking about which software they would buy. To put another way, they spent $30,000 to make sure that they didn’t overpay for a $15,000 software decision. This doesn’t even factor in the $100,000+ that they lost in missed sales opportunities during that time. So, what are our recommendations? Look for products that are highly rated on vendor review sites. Pay particular attention to reviewers that are in your line of business. G2 Crowd & Capterra are perhaps two of the best sources of legitimate reviews for software products. 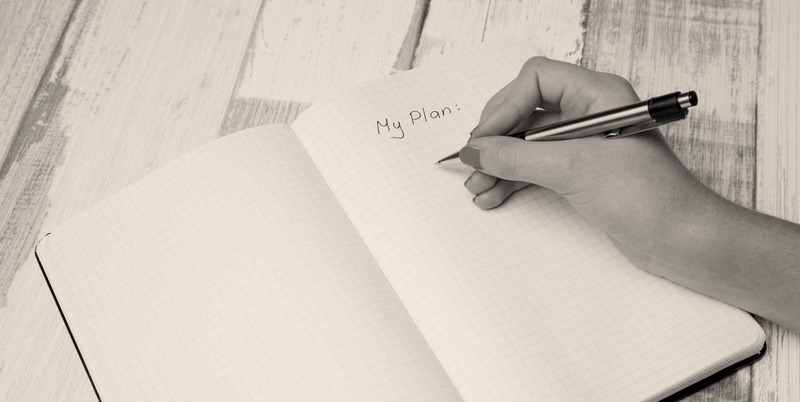 Be prepared with 2-3 core strategies that you would like to execute in the first 30-60 days. Insist that the prospective vendors are able to meet those needs. Once you know you can accomplish your central needs, focus on the marketing automation vendor’s reputation for execution and support. Software is only 40% of the equation. The other 60% lies in how the well that vendor actually performs and supports their clients. We’d much prefer a vendor that has excellent support and onboarding over someone with an esoteric plug-in! Have a plan before you speak with any vendors. Know who will have the final decision on the project. That information will give you much more leverage to negotiate the best deal for your company and your potential marketing automation partner. Most of all: Don’t be afraid to pull the trigger. Regardless of who you chose to work with; you are going to learn more (and experience more success) by doing. Don’t fall victim to paralysis by analysis in your marketing automation decision-making process. Interested in seeing what a great demonstration should look like? There’s a good chance that you spend a lot of time on the phone for work. You might have to prospect for clients or speak to existing clients. Whatever the case may be, you need to be as personable as possible. Follow these tips and you’ll be more personable and engaging in no time at all. Keep good notes when you interact with people on the phone. Then, you can refer to those notes to add a personal touch during later phone conversations. For instance, the person you are speaking with might mention that he or she likes pizza. Nest time you speak, you can talk about a pizza joint that you found in the area. Your client will be touched that you remembered that detail, and it’s simple to do when you take good notes. It also strengthens your relationship with that person, allowing them to trust you (and your business) more. It’s normal to want to rush off the phone, but it’s hard to make a personal connection if you’re always in a hurry. Set aside a few minutes at the start of the call to have a personal conversation. Ask about the person’s family or talk about what he or she did over the weekend. Share some of your own personal details as well. But, try to also be respectful of their time and pick up on hints that indicate that they want to get straight to the point. Some people think that you need to use Mr. or Mrs. when talking to clients or prospects since the formal title is a sign of respect. However, Mr. or Mrs. sounds very formal. Instead, use the person’s first name when appropriate, but do it in a polite way. You can even ask, “Do you mind if I call you Mark?” before proceeding. You’re going to sound much more personable if the prospect or client has your undivided attention. You can’t give that when you’re using a hands-free device or a speakerphone. 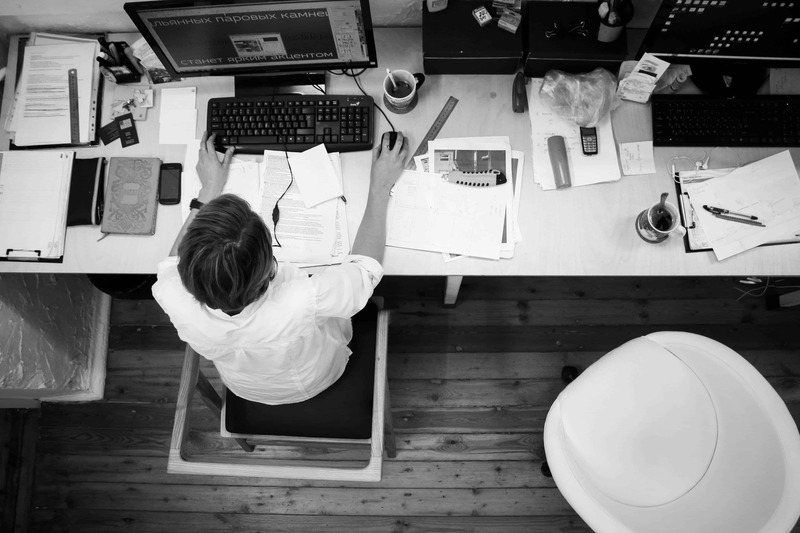 You’ll start shuffling papers or completing other tasks, and that will make it hard to be stay focused. Speak directly into the phone so the prospect or client knows that you are concentrating on the conversation. Verbal feedback gives you the opportunity to connect with others. Let people know that you’re listening to them by providing this feedback. Remember, they can’t see you! The only way they know that you are listening is if you make comments that indicate you are listening and absorbing everything that they have to say. This will help you form another connection with the person at the other end of the line. Use each of these tips when you speak on the phone. Soon, the actions will become second nature. You will find yourself going back to your notes, offering verbal feedback, and more every time you talk on the phone. Account-based Marketing: its meaning and how it relates to marketing automation. A part of the series Buzzwords in Marketing Automation. If you’ve spent any time in the marketing world, you have likely heard people throw around this common phrase. But, what is account-based marketing? In conversations, you might have nodded your head and acted like you knew what they were talking about, even if the term was foreign to you. It’s time to learn what account-based marketing (ABM) is and how it relates to marketing automaton. Then, instead of nodding your head, you can lead the conversation. People often give complex answers when asked about ABM. In reality, it’s a pretty simple concept. Instead of casting a wide net in order to appeal to all kinds of companies, those who use account-based marketing define a set of target accounts and then concentrate on those accounts. In other words, they create a marketing message and sales strategy based around a single account instead of around a multitude of accounts. Each account is treated like its own market. You don’t look at the market as a whole. You look at the market on an account-by-account basis. Once marketers land the accounts, they create personalized campaigns for each account. Now that you know the simple definition for ABM, it’s time to look at the complex nature of the strategy. ABM is all about personalization, and that is difficult to incorporate without marketing automation. Marketing automation allows you to personalize sales-enablement content, create personalized offers, and personalize experiences for web visitors. Marketing automation lets you run various personalized ABM campaigns at once, and your target accounts will only see the messages that are intended for them. They don’t have to wade through one marketing message after the next looking for the one meant for them. Instead, your marketing automation software will clean out the noise, and only show them what they need (or want) to see. You can go after several accounts at once, and each account will never be the wiser. Account-based marketing is necessary if you want to land the big fish in your market. The big fish never swim toward the wide net. Instead, they expect a targeted effort, and you can deliver that with ABM. If you are ready to land big clients, it’s time to use ABM.